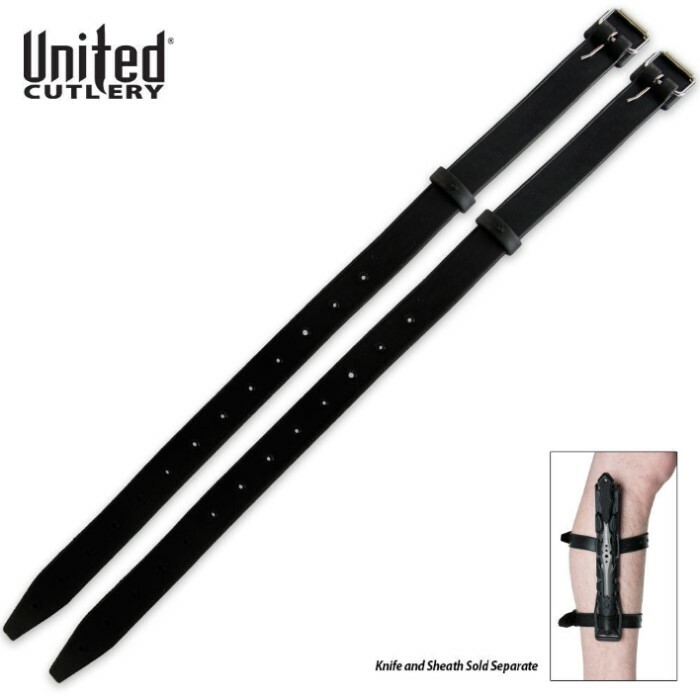 M48 Stinger Diving Rubber Leg Straps Two Piece Set | BUDK.com - Knives & Swords At The Lowest Prices! Take your M48 Stingers with you on dry land or down under the sea, using this two-piece rubber dive strap set. 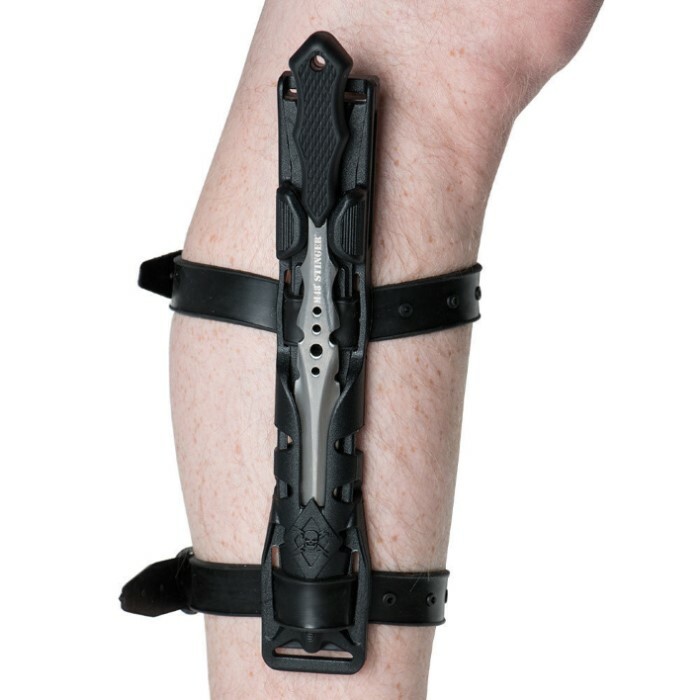 They are made specifically to fit the sheath of the popular M48 Stinger knives from United Cutlery, allowing you to strap them to your legs in true dive knife fashion. They are easily adjustable to achieve a custom, comfortable fit. Designed to fit UC2936 and UC2937. I grabbed these for my forearm, but they won't fit my leg, too short. Measure your leg, or arms, before you get them. Good quality, roller buckle, molded rubber with reinforcements at the holes in the straps. Nice detail. Working for my purposes, glad I added them to my collection. I purchased these straps as replacements for my diving knife straps which were cracked and worn out . These straps are as good if not better quality than the ones I had previously . Thanks BUDK !